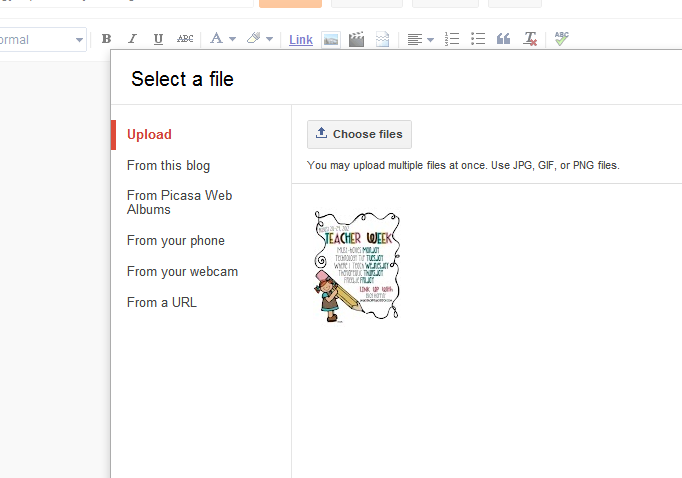 Live, Laugh, Love Second: Technology Tip Tuesday-Turning a Picture into a Direct Link! Technology Tip Tuesday-Turning a Picture into a Direct Link! Another day...another blog post! 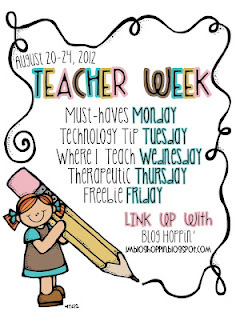 I'm still linking up with Blog Hoppin' to celebrate Teacher Week! Want to join in the fun? Click on the picture below and link up! All you got was a nice blown up image, right? 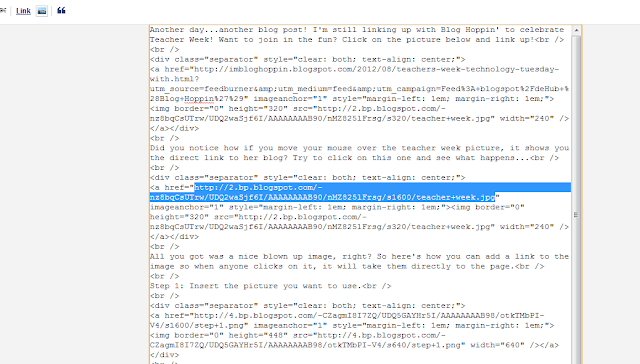 So here's how you can add a link to the image so when anyone clicks on it, it will take them directly to the page. Step 1: Insert the picture you want to use. Step 2: Find the link you want the picture to link to. Copy it. 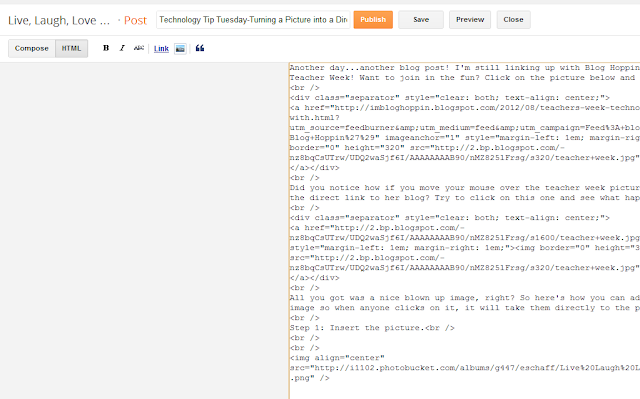 Step 3: Change from your "compose" screen to the "html" screen where all the codes are. Step 4: This is probably the most difficult part. You have to find the code that represents the picture you just just uploaded. I usually look for the words I typed around it. There will be 2 identical web address in the link to the picture. You want to highlight the FIRST address. Once highlighted, paste the address you want the picture to link to in its place. You'll notice that the original link is usually a .jpeg or .png or other image file. Once you change it, it should be a web address. Find the first code and highlight it. Paste the web address you want to link it to. It should look something like this (but with the address you wanted) after the swap. And that's it! You won't notice anything on your compose page, but you can test it out when you preview it. It's pretty easy after you do it a few times. Phew, you got very technical. Did you know that you could click the picture and then click the link button and paste the url just like if you were linking a page :)! 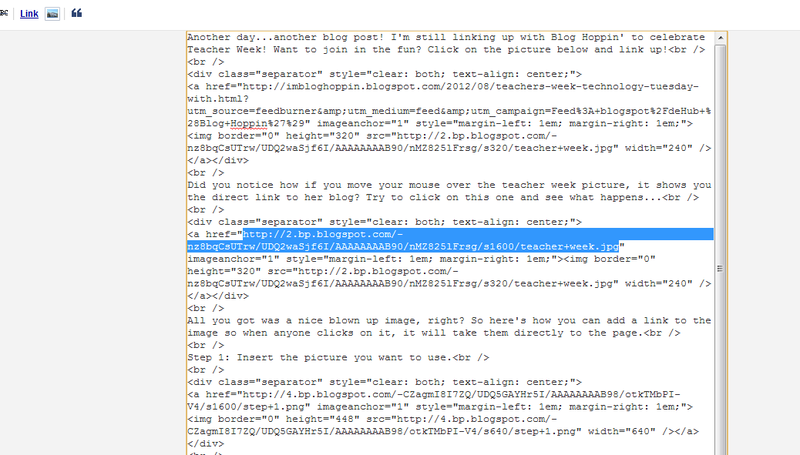 I found your blog on the Blog Hop and I'm your newest follower! I've tried that but the link was always off to the side. Maybe I was just doing it wrong! I've done it this way so many times now, it's probably just as fast for me! ;) Thanks for becoming a follower!